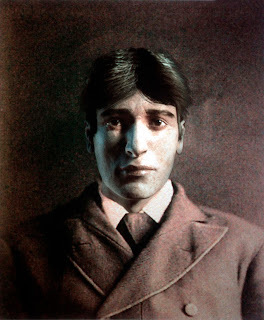 The blue plaque that commemorates the life of ‘The Elephant Man,’ Joseph Merrick, is on the wall of 27 Wharf Street South, high up and out of sight – you probably wouldn’t even notice it if you walked by. 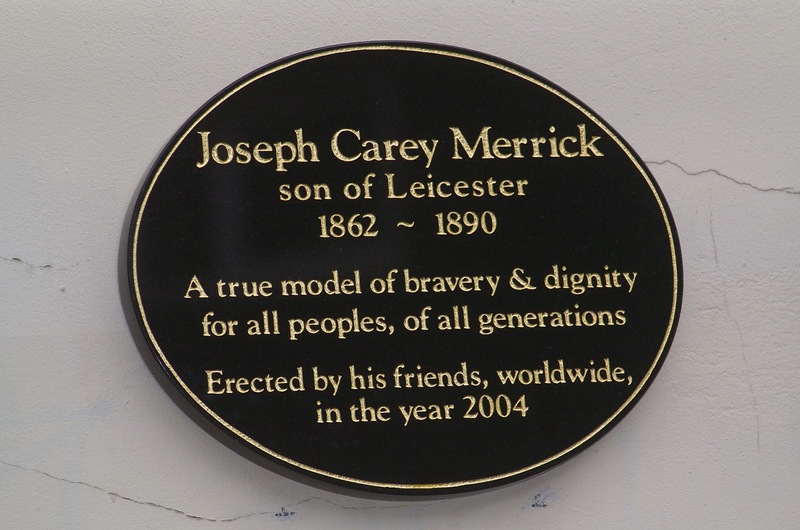 It is on the former site of Leicester’s Gaiety Theatre, where Merrick was regularly paraded as a grotesque freak and the paying public would flock to view the one they all called The Elephant Man. The plaque was unveiled in May 2004 at a big ceremony attended by dignitaries and journalists for local and national news agencies and although it is situated in a relevant location, it’s a shame that it isn’t in a more central position, where he could remain in permanent memory of Leicester folk. 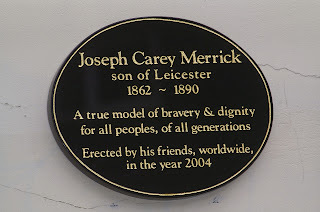 Joseph Carey Merrick was born on August 5, 1862 in the run-down Wharf Street area of Leicester and he was the oldest of three children. He was born without any indication of what he would become, as perfect as any newborn, but at the age of five, the first lesion appeared on his cheek. Little Joseph’s condition soon worsened as bulbous, botryoidal lumps appeared on his body, and most noticeably – his head. His right arm and hand soon resembled a club. 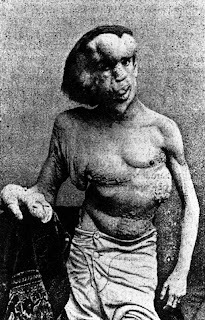 His condition was unique and doctors didn’t have a clue as to what it was although Joseph himself thought it was something called Elephantiasis. 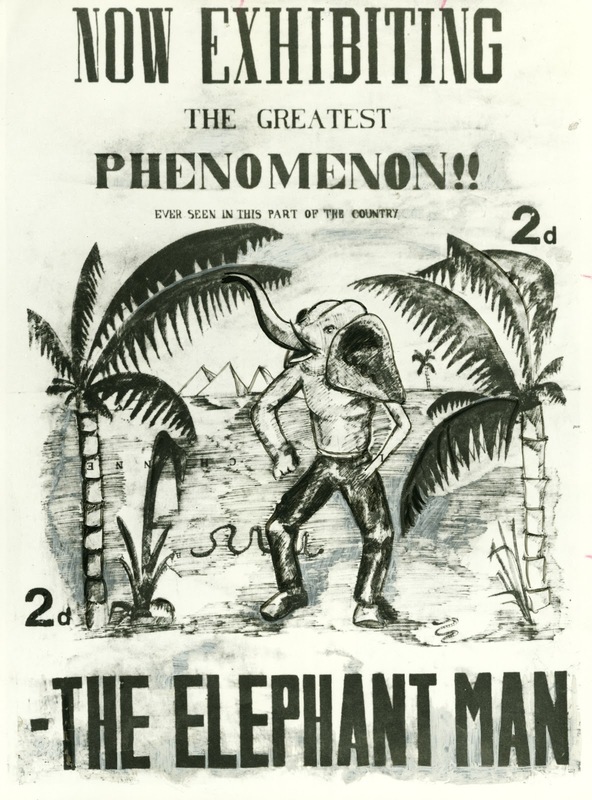 It is believed that he himself started a rumour that his mother, when pregnant with him, was so traumatised after seeing an elephant in a touring circus that it caused elephant-like growths to arise. Of course, this wasn’t the case. Not long before Joseph’s 11th birthday (1873), Joseph’s mother, Mary Jane, died of pneumonia and his father, Joseph Rockley, re-married. Joseph Senior’s new wife, Emma Wood Antill, was appalled when she first met Joseph Junior and with the way the poor boy was treated by his wicked step-mother, Joseph left home many times. 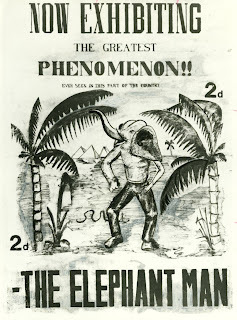 Because of his condition, he couldn’t find regular work anymore and it was on August 29, 1884 when he decided that the only way he could generate income was to become a sideshow attraction. Joining a touring circus, visitors paid a small fee to stare at Joseph’s misshapen body. By all accounts he was treated decently by the circus and even made a handsome sum of money. Being part of the terrible named ‘Freak Show’ Joseph toured the country and it was in east London where he met Frederick Treves, the Whitechapel Hospital physician. As we all know if we have seen the famous ‘Elephant Man’ film, Treves was fascinated by Joseph’s condition and, wanting to help, he presented him to the London Pathological Society but nothing was done. By now, sideshows had already been outlawed in the UK so Joseph had to travel to Belgium to earn money. It was there where Joseph’s life got all the more worse – defiled, beaten and mistreated by his new ‘owners.’ Somehow he did manage to escape back to London, causing some sort of disturbance at Liverpool Street Station. In London he tracking down Dr. Treves and was finally given a permanent home at Whitechapel hospital. Joseph no longer had to accept mass ridicule to earn a living and he was able to let his artistic side flourish by writing poetry – and what a great poet he was. He remained at Whitechapel Hospital until his death on April 11, 1890, dying from suffocation in his sleep at the age of just 27. "Not long before Joseph’s 11th birthday (1873), Joseph’s mother, Mary Jane, died of pneumonia and his father, Joseph Rockley, re-married. Joseph Senior’s new wife, Emma Wood Antill, was appalled when she first met Joseph Junior and with the way the poor boy was treated by his wicked step-mother, Joseph left home many times." Last week in the museum of the Royal London Hospital I had the opportunity to look at the exhibits relating to Joseph Merrick and Frederick Treves. Fascinating. The sentence quoted above as "self-contradictory and impossible to understand" makes perfect sense to me. Does this mean that my English is too bad or too good? What a beautiful beautiful man. 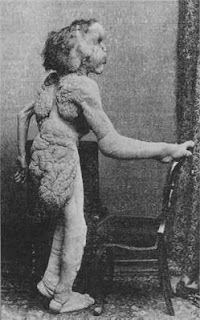 I first fell in love with Joseph Merrick after watching the film starring Anthony Hopkins and John Hurt when I was about 11 years old. Although I love this film I think it needs to be remade in order for this generation (and future generations) to appreciate it and I'm damn sure it could and would teach a lot of its viewers about commitment and compassion, which is what today's society is lacking in.